Though this image looks animated, it's actually a static JPG. 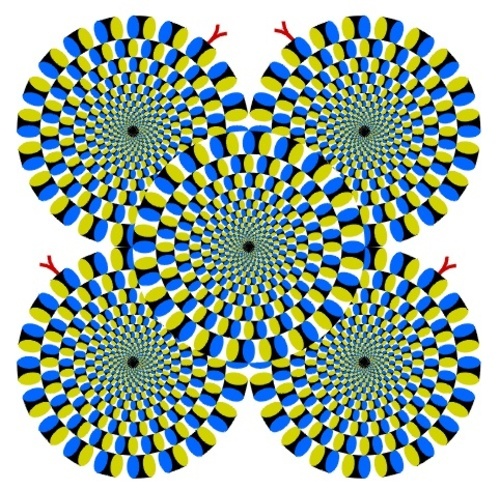 I love optical illusions! 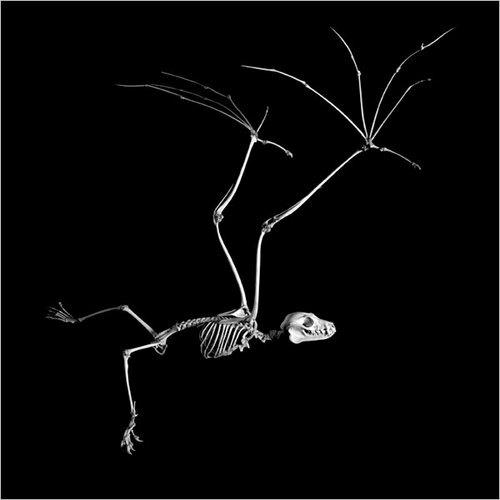 NYT put together a nice little slide show of skeletons of everyday animals like the flying fox above, a sea lion, and an elephant. I cannot believe how widespread the fires are this year. We got a message at work saying there are no packages being delivered to all of Southern California. That's a big deal. 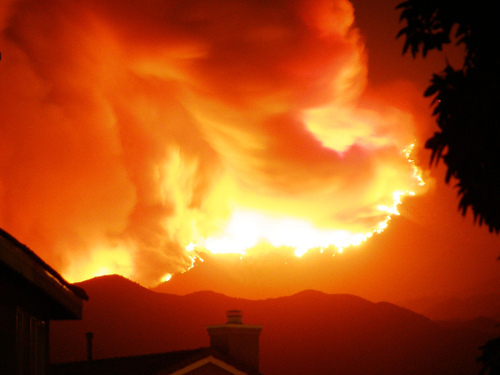 When I was in LA in May, I saw the Griffith Park fires which was scary enough; I can't imagine what it's like for everyone fleeing their homes. Pic Credit: lateott_156 on Flickr. UPDATE: The NYT is tracking the fires here. They seem to have the most recent information collected from a number of sources. Threatened: 25,925 homes, 2,055 commercial structures. We're headed to Geektown today. Don't tell me you don't love it. Check out this great video montage of all the most famous viral videos from the past few years. It's long, but really worth watching. 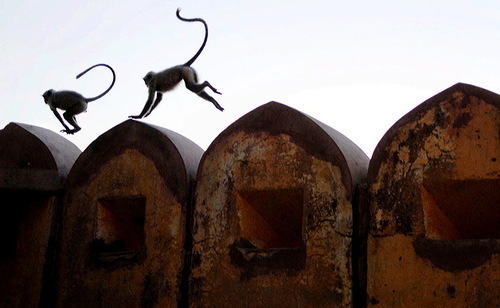 Monkeys seem to have the run of many cities in India these days, especially New Delhi. This weekend, Deputy Mayor S.S. Bajwa died after being attacked by a gang of Rhesus Macaques causing him to fall off his balcony. A number of methods have been devised to reduce the number of monkeys roaming the city including relocation of the troops (into another city, sometimes without the destination city officials' knowledge), sterilizing the male monkeys, or even employing Langurs (larger monkeys) to scare away the smaller Macaques. While the problem of the monkey terrorists at first seems to be an isolated issue for India alone, in light of lethal viruses like Ebola we should all be concerned. 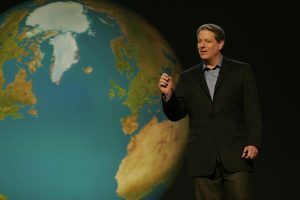 Zoonotic diseases (diseases passed from animals to humans like SARS and Bird Flu) are fast becoming a potential global crisis that could affect us all. This month's National Geographic had a scary interesting article detailing the challenges we face with zoonoses. 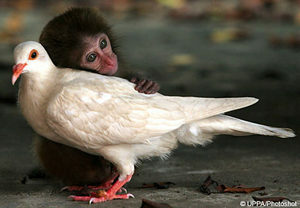 An abandoned baby Macaque finds a friend and the will to live. It's tough being a primate. All those feelings and such.